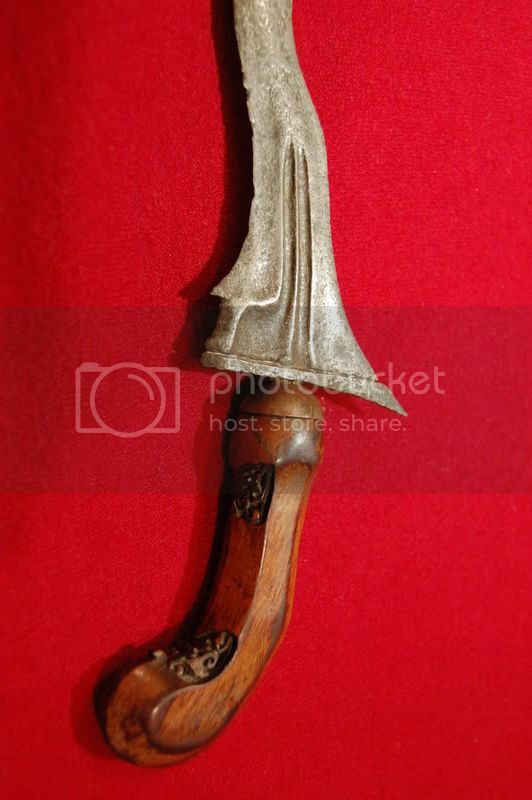 Up for sale is Javanese 9 Luk Keris. I believe the keris to be rather old judging from the pitting on the blade. 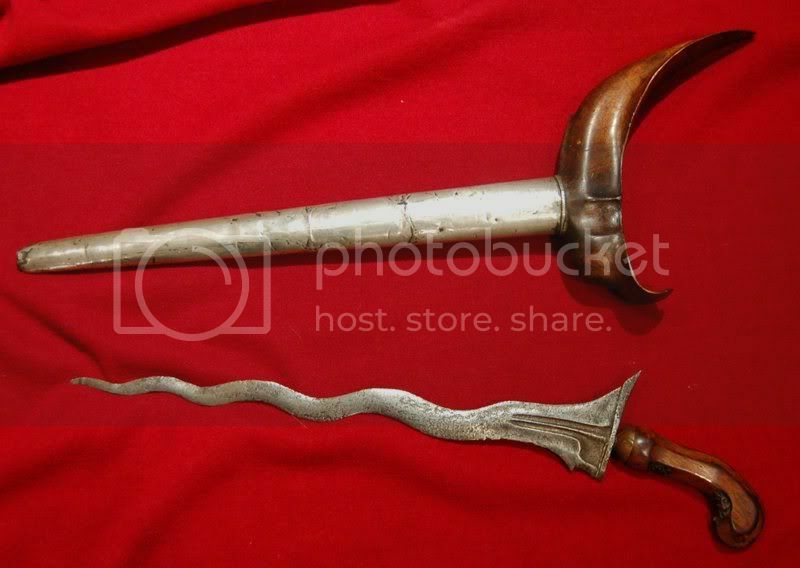 I have been told by a helpful gentleman that this keris features Solonese fittings. The scabbard is covered in hammered silver sheet and is in good condition. The blade is 13 inches aprox. I would like 90GBP for this. If you have any questions please let me know via pm. New price of £70, please buy as I need some moolah for christmas!